Attention all San Bernardino County Professional Unit members, you now have until Friday, April 5th at 5 p.m. to complete your contract bargaining survey. The survey is quick, easy and now you can take the survey ONLINE! 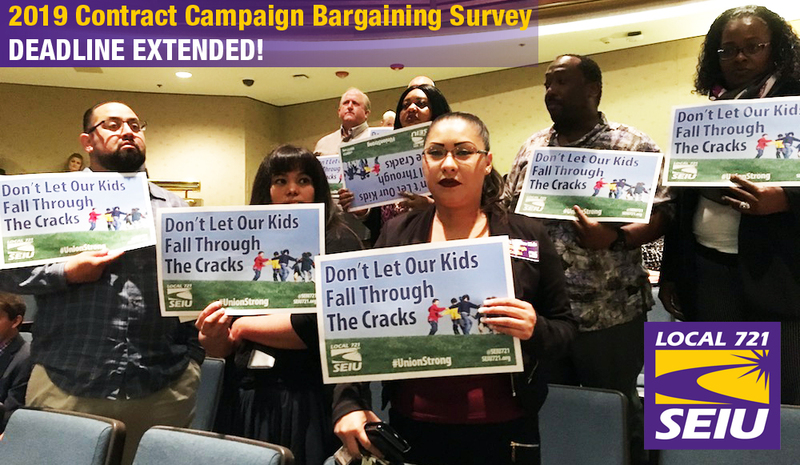 As we gear up for contract bargaining, these surveys help the bargaining team build the list of priorities that reflect our members’ main concerns so we need to hear from you. You can still hand in your print version of the survey but this online version is the quickest way. Make sure you co-workers know about the online version so they can fill it out as well. All surveys are due by April 5th at 5 p.m. so that the bargaining team has time to analyze the results – fill out today!